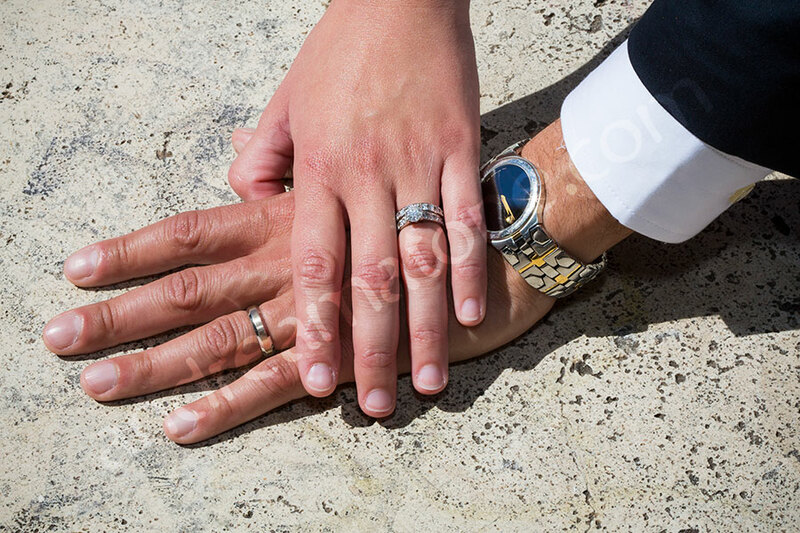 This was an absolutely beautiful honeymoon photo session which started in Piazza della Repubblica under a wonderful blue sky. A Mercedes car was just outside waiting to take us to Piazza del Campidoglio in Rome before the sweeping view of the Roman Forum. We hopped back on and headed for the Vatican and Saint Peter’s square. On our way we saw a beautiful view of Castel Sant’Angelo so we quickly pulled over for some pictures. Next we were under the beautiful colonnade of Saint Peter’s square. Loved the sun shadow game play in around the columns. Then a very quick stop at the Vittoriano monument and on to San Ivo alla Sapienza to continue in the beautiful courtyard. 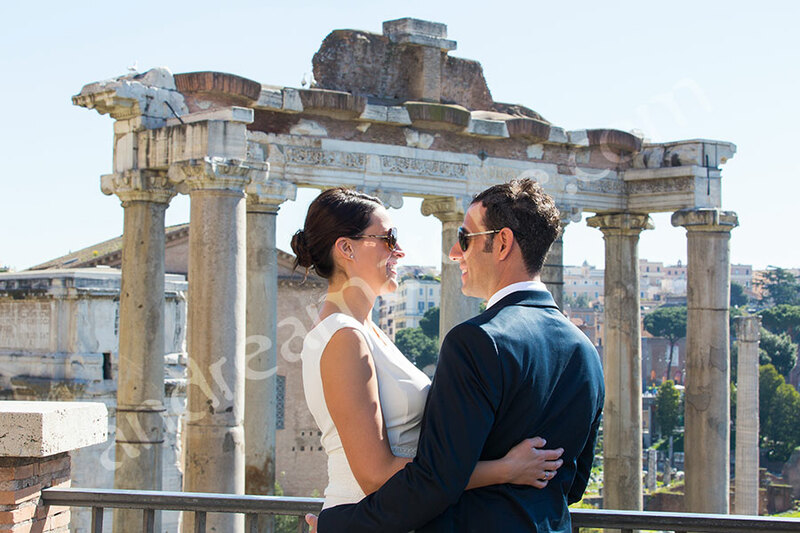 Finally our last stop was the Roman Colosseum where the photographer session came to an end. I had a great time; thank you for a such a beautiful day! Honeymooning around the city while taking pictures.